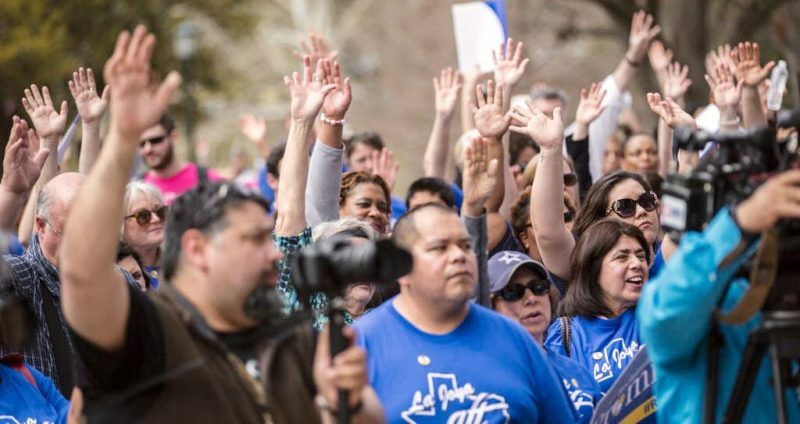 Even in Texas, where the law allows the state to strip teachers of their pension and certification if they strike, appetite for striking appears strong. “When I am out in the schools, people wanna know: what’s going happen? When are we gonna go out on strike too?” says Louis Malfaro, president of the Texas American Federation of Teachers. Malfaro says it’s unlikely that the union will strike in the fall as they would prefer to strike when the state legislature reconvenes in the spring. Malfaro sees the fall election as a test of how much his union can mobilize public support for teachers. Support at the ballot box could equate to support on the picket line if teachers went out in the spring. Already, the Republican party is going increasingly wary of what being seen as anti-teacher could mean on election day. On 15 August, Texas lieutenant governor Dan Patrick even urged the Republican-controlled state legislaturenot to raise healthcare premiums on retired teachers. For more, go to the Guardian. 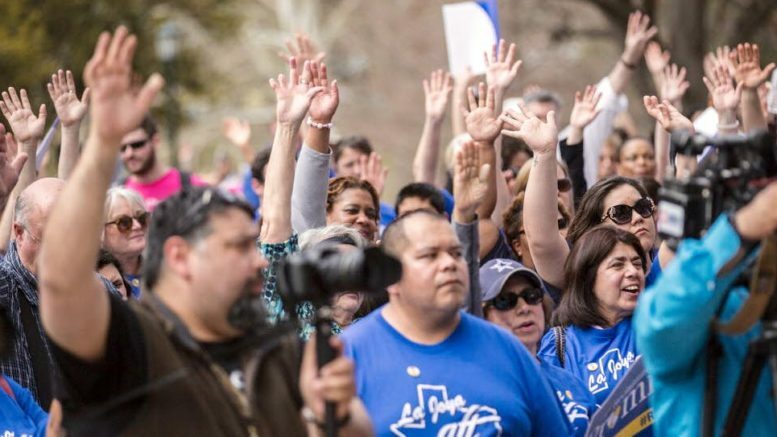 Be the first to comment on "Teachers in Texas Preparing to Strike as L.A. Teachers Authorize A Strike"